Been shooting this type of stuff along with a production crew for a long time now. And think this might have been the most fun yet, because of the inclusion of Jimmy Kimmel as "Bobby Butter". If you haven't seen the commercial, check it out. Filming with him was hilarious, and he was awesome. "I'm like mayonnaise, because I'm smooth, but dangerous to leave open. Sorry about the low res iPhone pics of the store, but you get the point. Emmanuel Mudiay just went #7 overall in the 2015 NBA Draft, and is now the newest member of the Denver Nuggets. I had the opportunity to shoot with his last month in LA for Under Armour. If you pay attention to hoop, you've probably seen all his "Life changes after the draft" commercials. Funny spots.Anyway, he's a good kid, and was fun to shoot with. Seemed very mature for his age, and handled all of his responsibility well. These shots below are from the 34th St. Foot Locker in New York City. It's always cool to see your stuff used like this. Steph Curry was just named the NBA MVP. And it couldn't be any more deserved. If you have watched him play this year, then you know why. He's just operating at a different level. 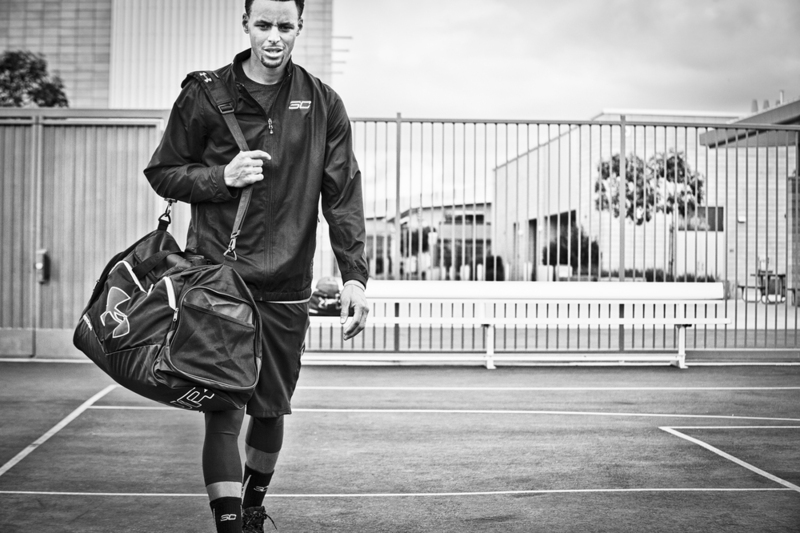 I shot this image of Steph last year for NIke Basketball and Foot Locker in Los Angeles. He was a pleasure to shoot with. Genuinely nice dude. Big fan of the "Dark Knight".